Take a long, hard look at that beaut of a Christmas pudding. This could very easily be sitting on your dinner table this Christmas - let that sink in. A couple of days ago, I was invited to the John Lewis Stir-Up Sunday event at Waitrose Cookery School. Stir-Up Sunday is a tradition that dates back to Victorian times when people across the UK would make their puddings in preparation for the big day. At the John Lewis event, food bloggers and enthusiasts were brought together to do just that. We were split into groups to make either vegan, gluten-free or traditional versions of this classic - a sure reflection of the ways in which our diets are evolving. Brownie points if you can guess which group I was in! By the end of the night, we all went away with our mini puds, boxed up and screaming to be consumed (...that's as violent as it gets for vegan food imagery). In a follow-up post, I will be going into a bit more detail about the event itself, but you're here for the Christmas pudding recipe, and that's what you'll get. Preheat the oven to 180 C, gas mark 4. Grease 4 mini pudding basins and 4 small circles of baking parchment with the soya spread and set aside. Mix the flaxseed with 3 tablespoons cold water and set aside for at least ten minutes or until it becomes jelly-like and makes ‘flax-egg’. Sift the self-raising flour, baking powder, salt, nutmeg, cinnamon and cloves into a medium mixing bowl, then add the “flax-egg”and the melted coconut oil. Mix the treacle with the stout and rum in a measuring jug. Pour this mixture into the bowl and whisk everything together thoroughly. Stir in the lemon zest, apple, almonds, currants, peel, cherries and mincemeat. Looks great! Can't wait to see what you post next! 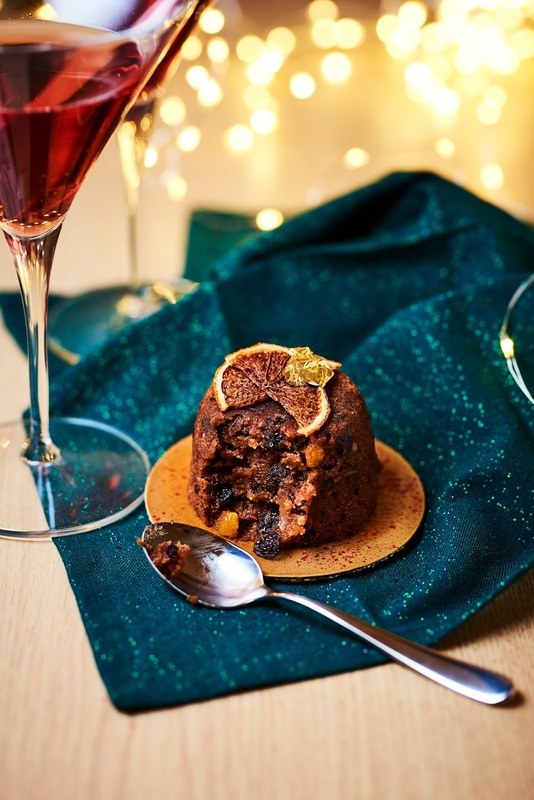 Hi Vegan, This christmas pudding is simply great. It looks so yummy and tasty. The receipe you have shared is easily texted so can be tried easily. thank you.